Before I received the laser engraver, I was busy beavering away at creating the designs. Turns out tho, that what you produce on the computer is only half the picture. I hadn't considered that the materials you use to make the product make a huge difference to how the final piece comes out. I thought I had a good handle on what the wood was going to do once it had been run through the engraver, but I really didn't to start with! The first few items that came out were quite different to what I expected and I realised I needed to consider the texture and grain of the bamboo (which I know technically isn't wood) in the design. My original ideas were far more complicated than what I am producing now. I had designed in a lot of texture and detail into the engraved areas, but it actually wasn't necessary and made the finished products look worse than I had hoped. It turns out that simple was the way forward and for bamboo, at least, less was most certainly more. I think I have a good handle on designing for Bamboo now and hopefully, that is reflected in the coasters I have put out. 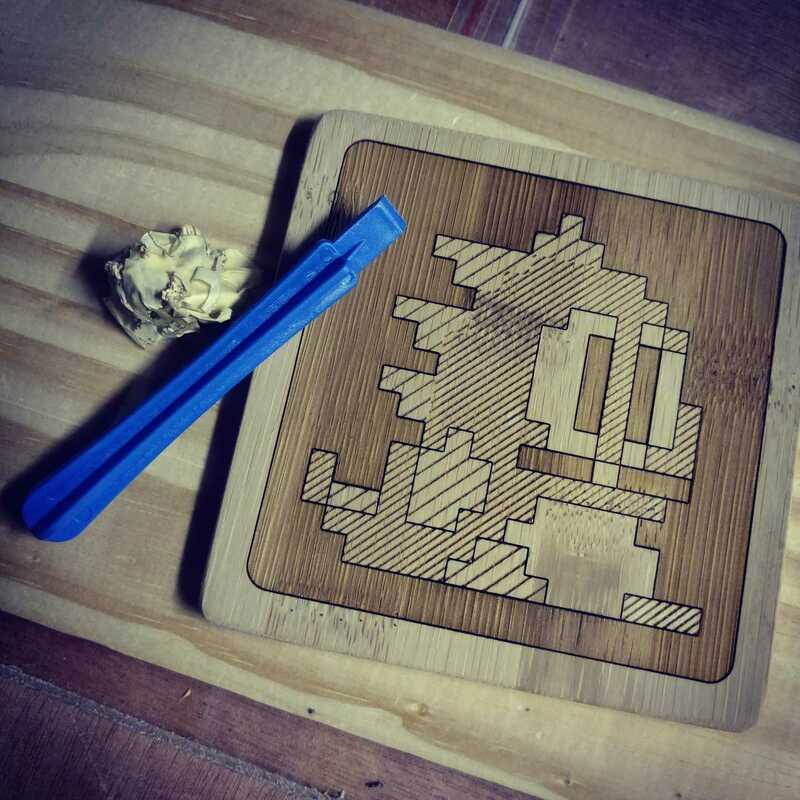 I am experimenting with other materials and hope to make a special set of the Pacman coasters in coloured Pespex. Perspex, though, behaves completely differently to bamboo, so more tests are needed. Hopefully the results of which will be another blog, for another day!